The government of Guatemala has been praised for a programme helping young women avoid unwanted pregnancies and finish their education. “Survival migration” is not a reality show, but an accurate description of human mobility fuelled by desperation and fear. How despairing are these migrant contingents? Look at the figures of Central American children travelling alone, which are growing. Erwin Sperisen was chief of Guatemala’s National Civil Police from 2004 to 2007, when he left the country for Switzerland. In August 2010, the Guatemalan authorities issued an international arrest warrant, accusing him, among others, of extrajudicial executions in the prisons of Pavon and Infiernito. Guatemala’s first female attorney general has managed to reduce impunity in a country where over 90 percent of murders go unsolved. Douglas Cuc, a 32-year-old clown, entered the courtroom with the same smile on his face as when he told jokes for coins on the buses in the town of San Miguel Petapa, near the Guatemalan capital. But this time there was no greasepaint on his face, he did not wear his clown's nose, and he was in handcuffs. Fear and mistrust reign in Santa María Nebaj. The people of this Maya Ixil indigenous town in the highlands of northwestern Guatemala are worried about intimidation attempts to keep them from testifying again in a retrial of former dictator Efraín Ríos Montt. 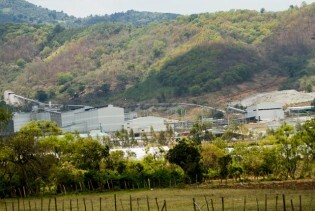 "People haven’t been coming in for the past month or so because they are afraid again, like during war-time," complained Juan Gaspar, a shopkeeper in the northwestern Guatemalan town of Santa Cruz Barillas, where a fierce battle is raging between locals opposed to a hydropower dam and the security forces. Overwhelmed by climate change, worried about speculation in international prices and still hurting from the effects of the crisis in 2000, coffee growers in Guatemala are trying in various ways to recover the production levels they achieved 12 years ago. “We don’t want a repeat of welfare-oriented programmes, because they are unsustainable,” said Rony Palacios of the National Network for the Defence of Food Sovereignty in Guatemala, criticising President Otto Pérez Molina’s Zero Hunger plan.